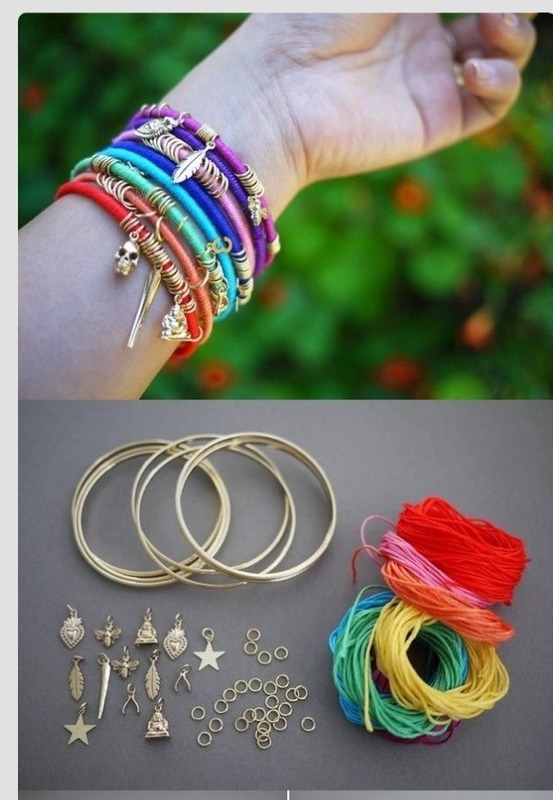 You will need some inexpensive bangle brackets. Colored string, pliers, glue, and some inexpensive charms you can get at your local craft store, with charm loops. 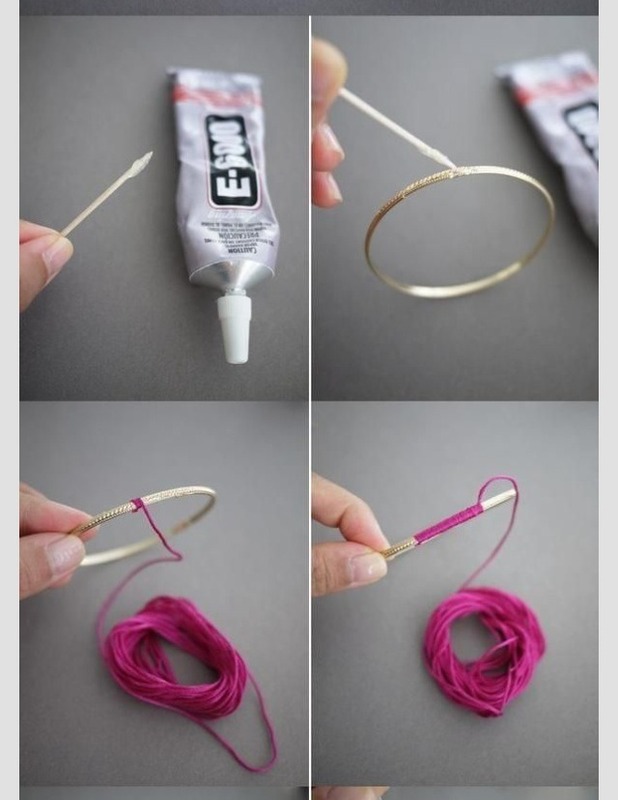 Place a dab of fast drying glue to the bracelet. 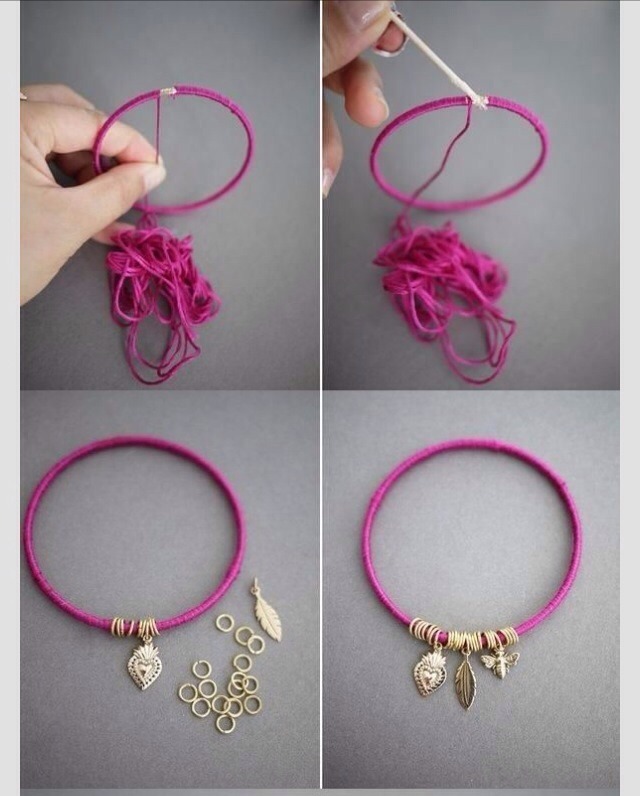 Place string over glue and start wrapping the bracelet.